Home › videos › Her Contagious Laugh Was Heard Worldwide. But When You Hear Her Sing For Our Country...AMEN! Her Contagious Laugh Was Heard Worldwide. But When You Hear Her Sing For Our Country...AMEN! 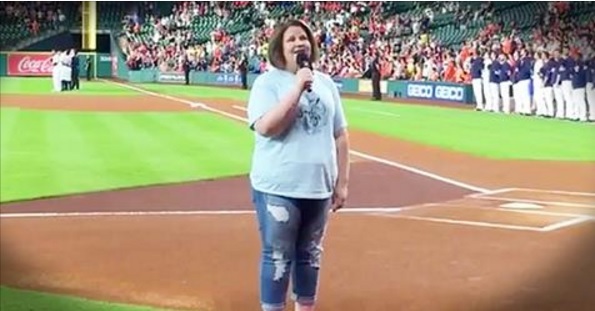 Candace Payne, also known as the “Chewbacca Mom” from her viral internet video viral internet video is singing for our country. And when you hear her sing The National Anthem at a local baseball game, you'll be stunned. I'm so glad this happy woman is spreading her love and kindness across the nation!